In about a week time Lenovo will launch a new all-in-one computer that will be known as Yoga Home 900. The main idea behind the device is users to be able to take it anywhere and as a result the AIO computer looks like a large picture – it is 19.5 mm thick and weighs 7.6 kilograms. The Yoga Home 900 is based on an Intel Broadwell Core i5-5200U processor with two cores at 2.2 GHz (up to 2.7 GHz Turbo) and Intel HD Graphics 5500 inside. The chip has TDP of 15 watts, which means it will stay cool even when under load. The Yoga Home 900 also has a large 27-inch sensor display that works at Full HD resolution (1920 x 1080 pixels), a GeForce GT 940 video card with 2 GB of GDDR5 memory, up to 8 GB of DDR3L memory, a 256 GB SSD or 1 TB hard drive for storage and a built-in battery that can provide power for up to 3 hours. 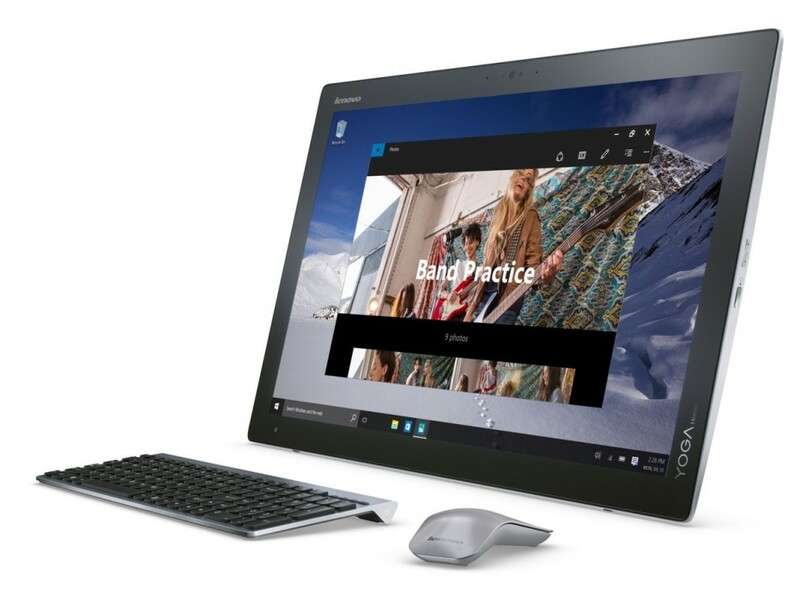 The giant Lenovo Yoga Home 900 tablet computer offers three USB 3.0 ports, Bluetooth 4.0, 802.11ac Wi-Fi, NFC, a rear camera at 2 MP, a HDMI port, a SDXC card reader and built-in 2.5W stereo speakers. The device runs Windows 10 out of the box and sells for USD 1549 and up.